4 days alone. 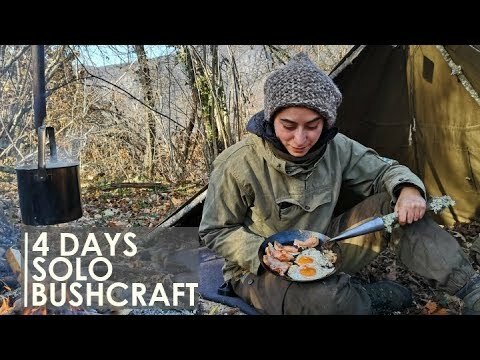 No talking, just bushcraft the “primitive” way: I am building a quick “survival shelter” with 2 Russian Canvas Plash Palatka and a wool blanket, cooking over the fire and carving with hand tools. Axe, frame saw and knife. Love the woods and enjoy. Make sure to subscribe and comment. Thanks.